Saint Francis, well known for his rapport with all animals, once politely asked twittering birds in the marketplace not to interrupt his sermon! On another occasion, he turned aside to preach to a flock of birds, exhorting them to praise their creator. Near the end of his life St Francis composed a song of praise and gratitude to God for all his creations called the Canticle of Brother Sun. 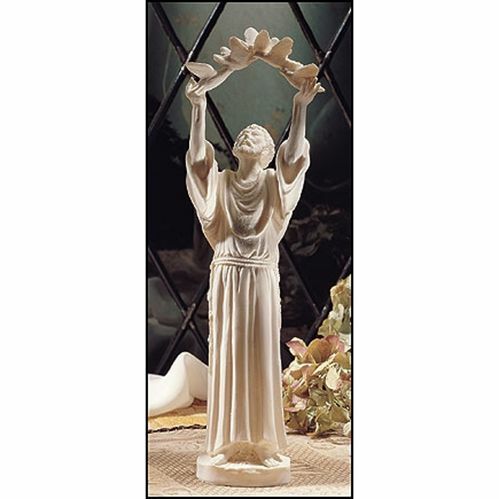 This charming statue is a beautiful reminder of our beloved St Francis of Assisi and everything he did to enrich our lives today.